​How Do I Customize my Authorize.net Payment Form? After you have set-up your payment form and checked to see that only the correct credit card icons are appearing you can customize your Payment Form. You can use the default option or choose to customize your page. You can add custom text, more information about the payment options you do and do not accept, and change the colors. 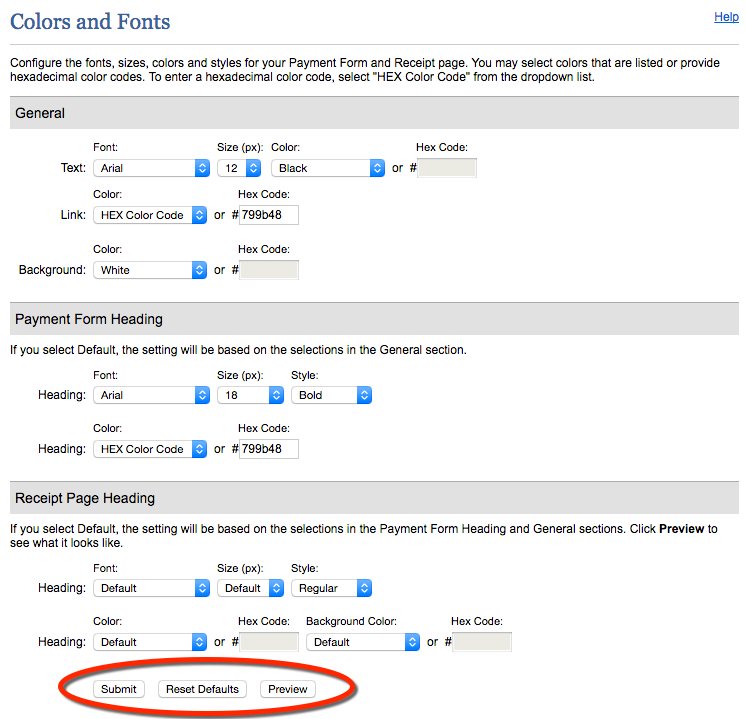 ​In this section you can add custom text to the top of your payment form. Add information about the payment types you accept or don't accept, thank members for joining, etc. The text will default to "Payment Details Form". We recommend leaving the footer blank. Use the buttons at the bottom of the screen to Preview or Submit changes, or reset back to the default text. Preview your payment page to view your changes before submitting. 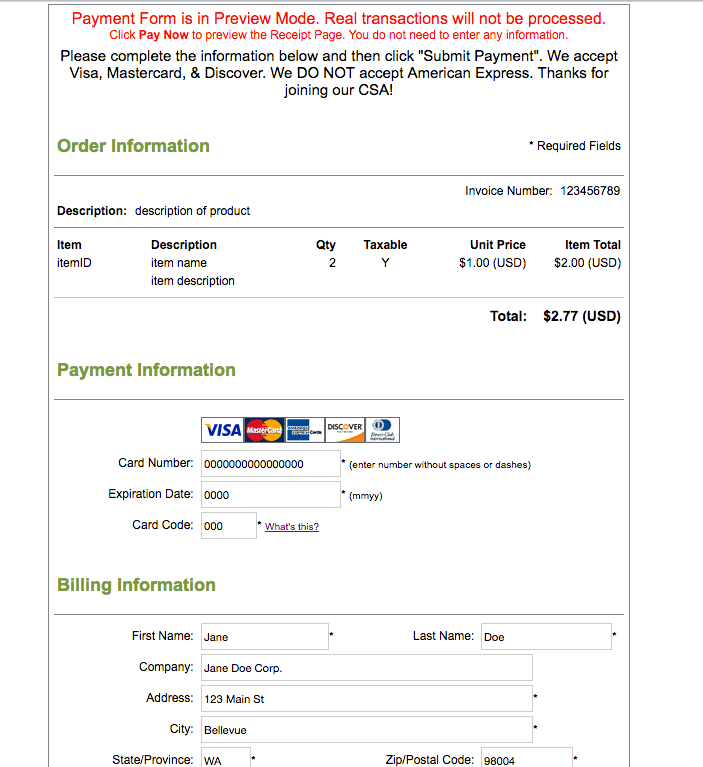 You can also preview the payment receipt from this page. What if my page is showing the wrong payment icons? Important - Some Authorize.net Gateways are set up to accept American Express, but the processor is not set-up. In this case the American Express Icon will appear. If you do not have an American Express Processor and the icon is appearing, please contact Authorize.net directly at 877-447-3938 and ask them to remove the icons you do not accept. Once they verify your gateway id and account information they will be able to instantly remove the icon.